Being the coolest DJ in the world ain’t easy, and nobody said it would be. As the resident spinster at ATL’s Magic City Mondays, DJ Esco is one of Southern hip-hop’s most important tastemakers. He works as Future Hendrix’s fulltime DJ, and serves as a de facto A&R on the superstar’s projects. One of those mixtapes, Future’s highly-acclaimed 56 Nights, was named for the amount of time DJ Esco spent in a prison in the United Arab Emirates for getting caught with weed. Esco had Future’s hard drive with him in prison, a treasure chest of 400+ unreleased songs, and chose eight of them to be on 56 Nights once he got back safely to America. 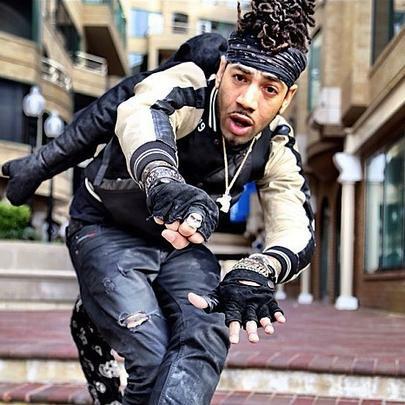 Building on his already legendary status, DJ Esco released Project E.T. (Esco Terrestrial) in June 2016, a mixtape hosted by Future, featuring the likes of Drake, Juicy J, and Lil Uzi Vert. Fire begets more fire. @EscoMoeCity, salute.